There are two skincare ingredients that I'm obsessed about - Green Tea and Rose. I guess Althea is also obsessed with this duo since they made two Real Fresh Skin Detoxers, one with green tea and one with rose. What's surprising about this duo - they are 2 in 1, they are not only a '10-seconds masks' but they also work as cleansers. How did this duo work and why do I recommend it? Skincare routine can take ages but there are products that can save us lots of time, Althea Real Fresh Skin Detoxers is a good example. The Real Fresh Skin Detoxers duo was made in collaboration with Get It Beauty - a South Korean TV program which I'm a big fan of - you can find some episodes of this show on youtube with subtitles but the newest series I feel like it's not subtitled still there are some things that you can figure out in this show even without subtitles. But go back to the idea behind this series of products - we all have no times sometimes, if you follow my Instagram then you could see lately how I went back during the long break from school just to wash my face (to make sure that I won't have a bad reaction to the chemical ingredients used on my face at school), sometimes we have no time or no strength for a long routine so 2 in 1 product is the best thing we can use. My only problem is how to treat it - as a mask or as a cleanser. 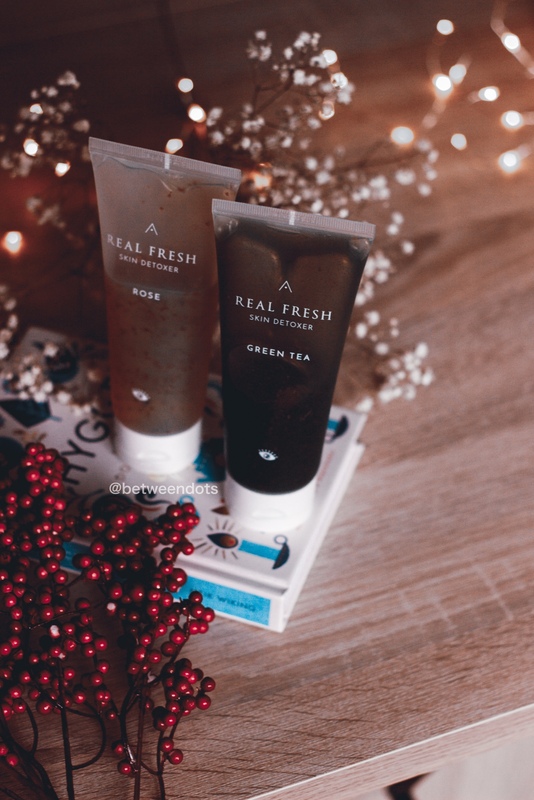 The Green Tea version of Althea Real Fresh Skin Detoxer is the one I prefer because it's a purifying product which will be better for oily skin. The Rose one is refining formula better for dry skin. 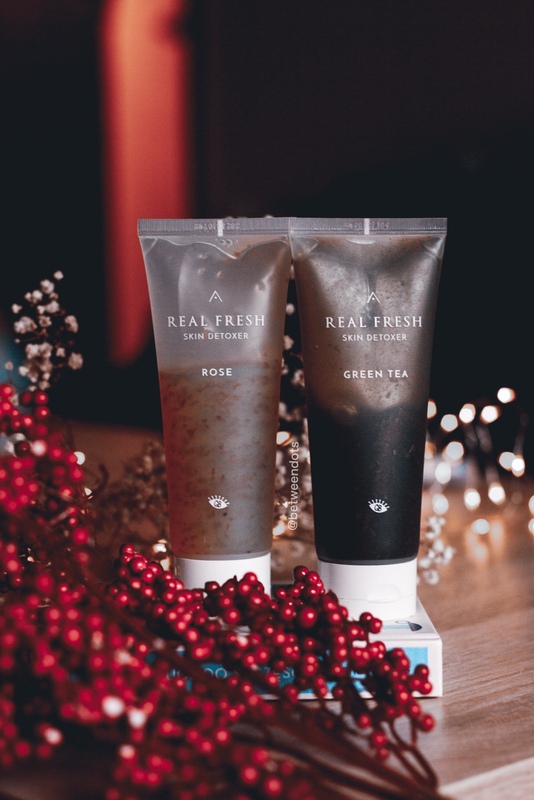 Rose product is told to be used in the morning and it's a good idea since rose it's a brightening ingredient and green tea is recommended for evening use to clean the skin from all the dirt. In this series, we have to focus on rich textures with small pieces of ingredients like rose and green tea but also on one small detail - Althea made a special place on the back of the product where you can write down when the product was open. I haven't checked the pH of the products on my own but if I remember well, Geekyposhe reviewed this series and the pH of both is 5,5 which is the best pH for the skin. Pro tip: if your cleanser causes pimples then it probably has pH over 6 or 7. The products are made with fresh ingredients so Althea stated that the product might change the colour a bit. But what's inside both of the products? What would you expect from Althea Real Fresh Skin Detoxer Green Tea? I guess Green Tea is the only ingredient that we totally need to find here. What's amazing about this product? Camellia Sinensis Leaf Powder (6000Ppm), the amount of camellia might not be high but it still is there although I'm surprised that there's no other green tea ingredient here instead you can find here Avena Sativa (Oat) Kernel Extract, ingredient recommended for acne-prone skin since it can be really helpful and I would also recommend using it on chest or back if you have acne problem in these areas too. 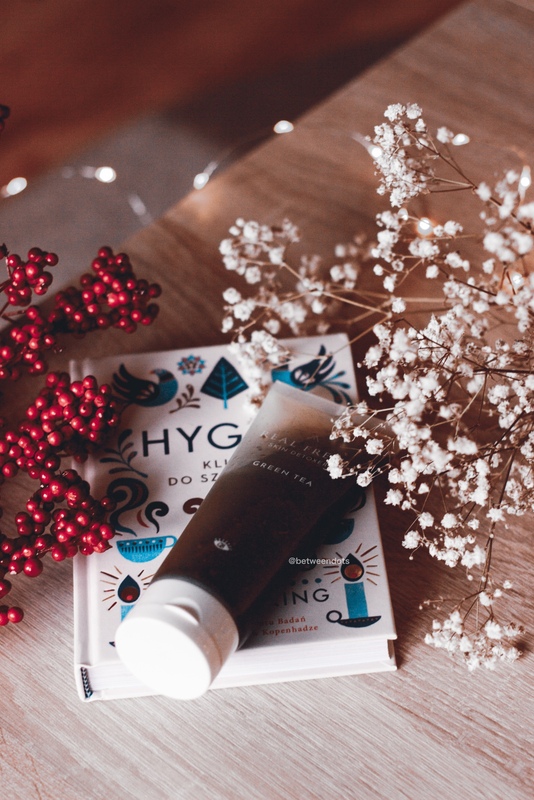 The ingredients are really interesting Phellodendron Amurense Bark Extract, for example is an anti-inflammatory ingredient that can help with acne scars or Curcuma Longa (Turmeric) Root Extract which is a well-known ingredient used even in DIY acne mask formulas. 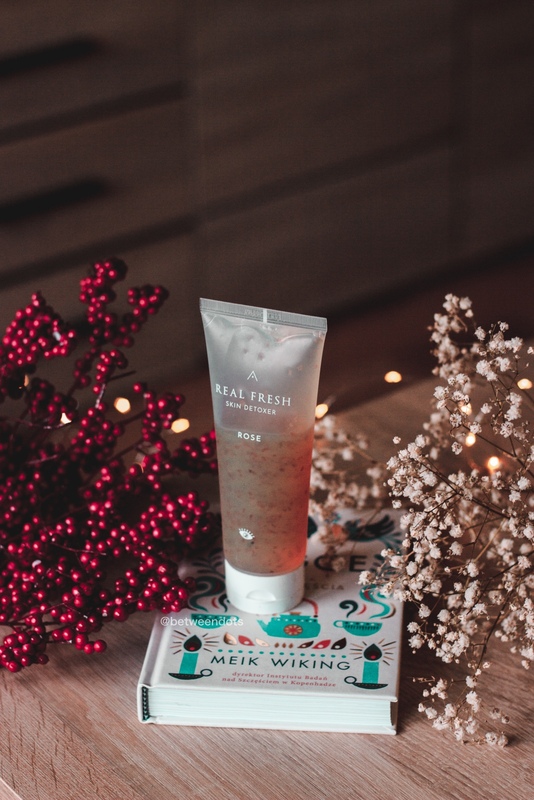 There are some ingredients that you might not like just like Fragrance, Peg-7 Glyceryl Cocoate or Phenoxyethanol, but personally, as for a product which I have on my skin for 10-seconds it's not that bad. The scent itself is really nice and delicate and the texture might feel heavy but it's easy to make foam out of it. 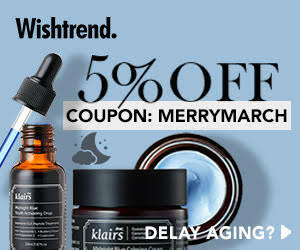 If it's a Real Fresh Skin Detoxer Rose then I suspect this product to have Rose and maybe some hibiscus, let's check it. Rose version is also surprising, again we can see here Avena Sativa (Oat) Kernel Extract but there is also Rosa Centifolia Flower Water (1000Ppm) and Rosa Gallica Flower Powder (3400Ppm) that are brightening ingredients. Similar to green tea version you can find here Fragrance, Peg-7 Glyceryl Cocoate or Phenoxyethanol. I'm sure that you might be scared of rose scent, don't worry the scent is not overwhelming. We have to focus on what's inside the products, do they share any ingredients? Oh, they do! What does this duo have in common? The majority of the ingredients is shared between this duo even if Green Tea one has 9 more ingredients than Rose one. 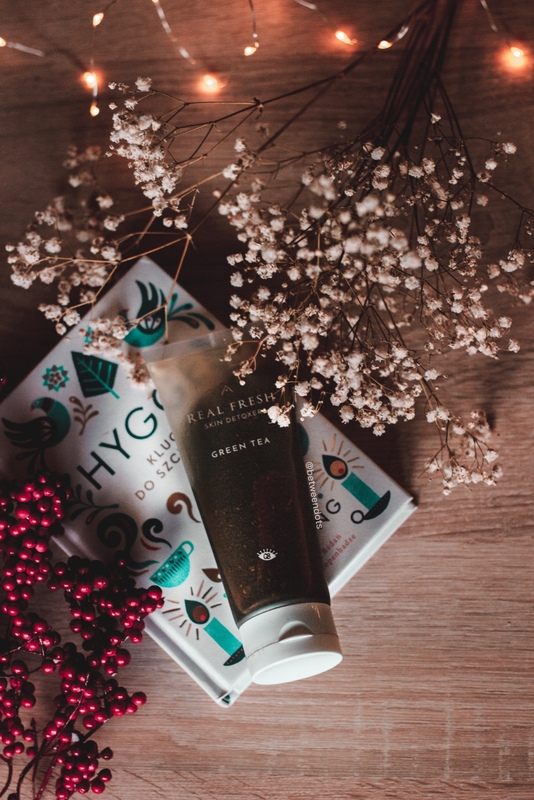 There's a whole list of ingredients found only in Green Tea Detoxer like Solanum Melongena (Eggplant) Fruit Extract and obviously Camellia Sinensis Leaf Powder or even Aloe Barbadensis Flower Extract. While for Rose ingredients it's all about Rose that's unique in this product. The most interesting ingredients which we are going to find in both of the formulas are Avena Sativa (Oat) Kernel Extract and Beta-Glucan, a good moisturizer. How do the Skin Detoxers work? The detoxers are very easy to do, you just use them after oil cleansing and put the detoxer for 10 seconds, then get some water on your hands and start to massage your face while making a foam. The mask quickly changed to cleanser so you don't have to use a cleanser after it. If you follow me on Instagram then you might know that I wanted to publish some presets that I'm using. 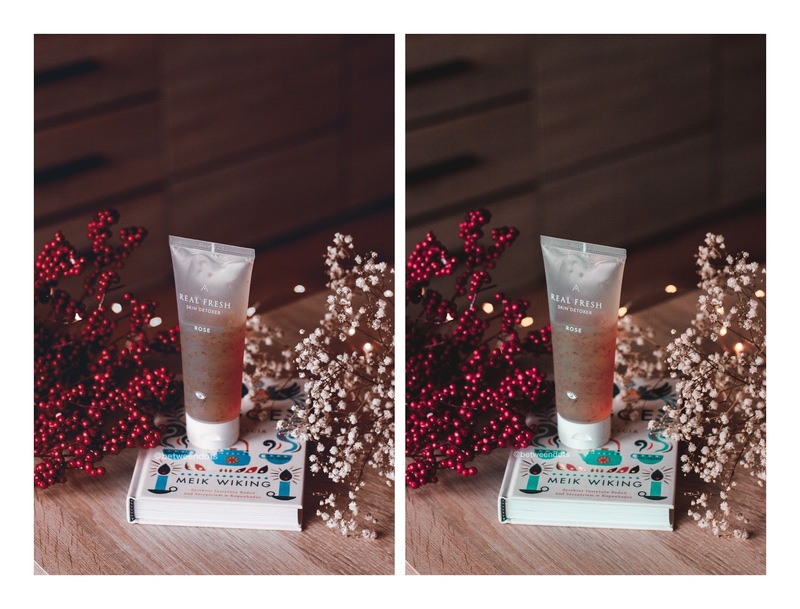 For this post I used two presets which you can download - they work only in Lightroom since that's the app I'm using. The full instruction how to add new presets to Lightroom you can find on youtube. Remember to change the exposure and temperature of the preset with every photo. Presets are free but please do not sell them! If you publish photos edited with these presets just tag @betweendots - I'll try to check every photo and I can't wait to see what you did. I'll try to make more presets and posts/videos on how to edit photos in 2019 (I hope, since education + job are going to take me all my free time). Althea is definitely a shop that did lots of good work with their skincare line and I can clearly say that this line was successful. Let me know what do you think about this duo.